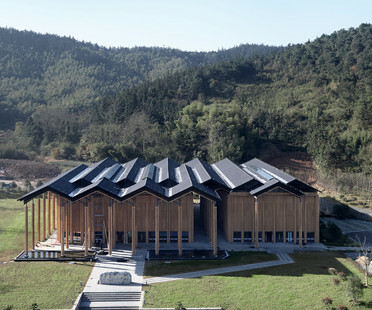 The latest addition to the Ruralation project from AZL Architects, which also includes the Librairie Avant-Garde bookstore, is the Daijiashan art hotel in Tonglu, eastern China. 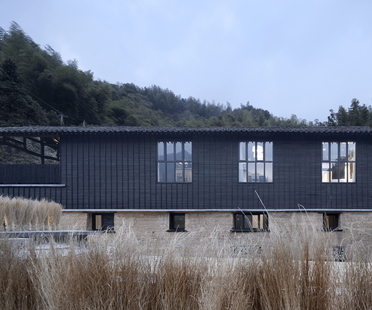 Home to the boutique hotel is a Shes Tsuchiya, a traditional Chinese dwelling built using rammed earth. 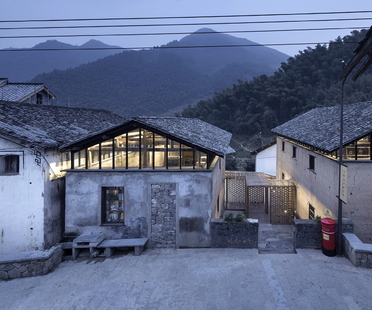 The eleventh Librairie Avant-Garde is located in the village of Daijiashan, near Tonglu in eastern China. 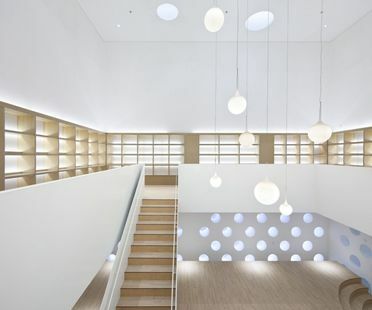 Designed by AZL Architects, the bookstore opened by the famous Chinese brand Librairie Avant-Garde is now part of life in the little village, a place for locals and visitors to mingle. This itinerary in pictures promotes awareness of professional architectural projects for schools all over the world: projects which produce not only a physical shell but above all an educational, psychological and cultural space. There are some interesting similarities and differences between Mies van der Rohe’s important Farnsworth House project and the clubhouse recently built by Chinese architect Hua Li. If we look at the design and the choice of structural and cladding materials, we can see how the contemporary project stands out from the masterpiece of the past to which it pays homage.